What is scarce? Successful entrepreneurs willing and able to advise the next generation of founders. 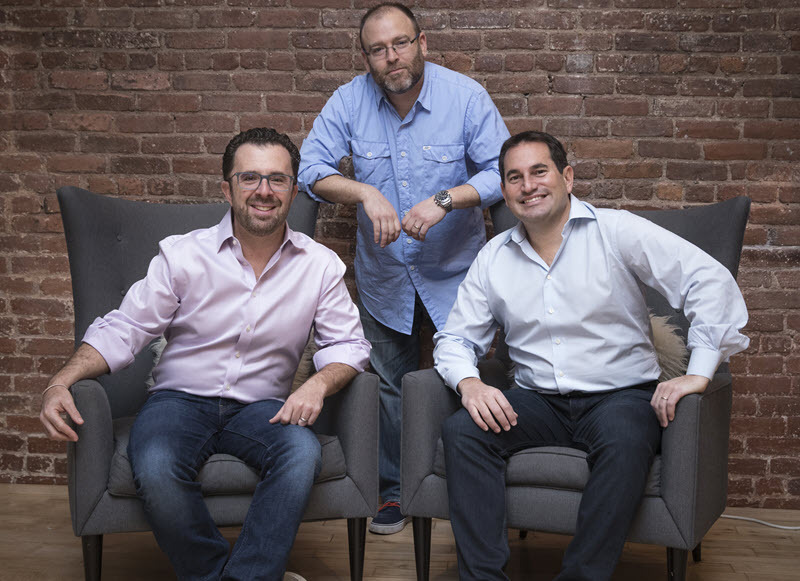 Former Foursquare president Steven Rosenblatt and two former Facebook executives, Joshua Rahn and Glenn Handler, have launched a mentorship engine called Oceans to offer that expertise to founders and fill the gap they say exists between startups and venture capital firms. "The fact that we have built and are builders and love building, those are the skills that are scarce," Rosenblatt told PitchBook. "VCs want their founders surrounded by people who have been there are done that. What we are, first and foremost, is the founder's most trusted partner. We work for the founders, but, by doing so, [for] VCs and investors. We've had so many conversations where they need a team like we've built to go in and really mentor founders." Ocean's co-founders will not take any board seats or invest capital in startups—at least, not yet. Instead, they'll offer early-stage founders advice from a team that, in addition to Facebook and Foursquare, has been employed at Apple, Time Warner and Thomson Reuters, among other companies. In exchange for a combination of equity and cash, New York-based Oceans will work with startups across several emerging tech spaces, such as mobile, messenger, AI and marketing tech. It will also partner with venture capital firms to support their portfolio companies. For the last several years, investors have been writing larger and larger checks to young companies. In 2017, the median Series A round was about $6 million, up from roughly $3 million in 2012, per PitchBook data. So far this year, more than 300 Series A deals have been completed in the US, with half of those valued at more than $25 million. Seed rounds are also growing much larger. This year, about 60% of seed deals have been between $1 million and $5 million; nearly 20% have been checks sized between $5 million and $10 million. Founders, especially first-time founders, may not have the knowledge and resources to handle all that cash. That's where Oceans—and all of its expertise—comes in. Co-founder Glenn Handler was previously the head of executive recruiting at Facebook and a program manager on the Google HR team. Joshua Rahn was the fifth hire in Facebook's New York office and was most recently a group agency lead on Atlas, the social media giant's ad network. Oceans has also hired Sara Barek and Brian Lew as managing partners. Barek was previously a director of customer engagement at Thomson Reuters, while Lew was a senior vice president at Time. "A rounds look like B rounds, a seed round looks like an A round. ... Over the last several years we've seen an influx of capital," Rosenblatt said. "Money, again, does not solve problems for founders—getting thrown more money doesn't help them reach the next milestone." The team plans to help founders scale and develop business plans, avoid risk, hire, employ diversity tactics early on and, when it comes time to review term sheets, stop founders from falling for vanity metrics. "It's really flattering for a founder to hear that their company is worth X hundred million dollars," Rahn told PitchBook. "The real businesses are the businesses that build real businesses first and the valuation follows them. Valuations go up and down; businesses should not. For us, helping founders appreciate that is really important." "It's not just the size of the money but the type of partner, because money is to some degree a commodity right now, finding a partner who will be there is as crucial as the dollar amount they are willing to sign you up for," Rahn added.